and Asiaq, you can now explore immersive 360-degree imagery of the world’s largest island, which is sparsely populated yet chock full of glorious natural wonders and historical sites. Let us take you on a tour of fjords, waterfront vistas, Norse ruins and more. Floating by Ilulissat, you can see why the breathtaking Ilulissat icefjord is the country’s most popular tourist destination. Also an UNESCO World Heritage site, the stunning ice wall seems to defy gravity as it reaches up into the clear, blue sky. Greenland’s wonders don’t end with ice. In Brattahlid, where Erik the Red established the first viking colony in the year 982, you can come face to face with history as you look at the reconstruction of the New World’s first church. 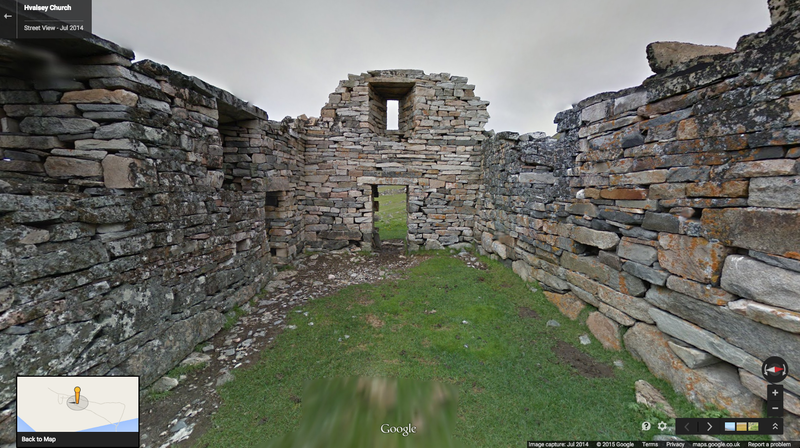 At the abandoned settlement Hvalsey, you can visit Hvalsey Church, the best preserved Norse ruins in Greenland. 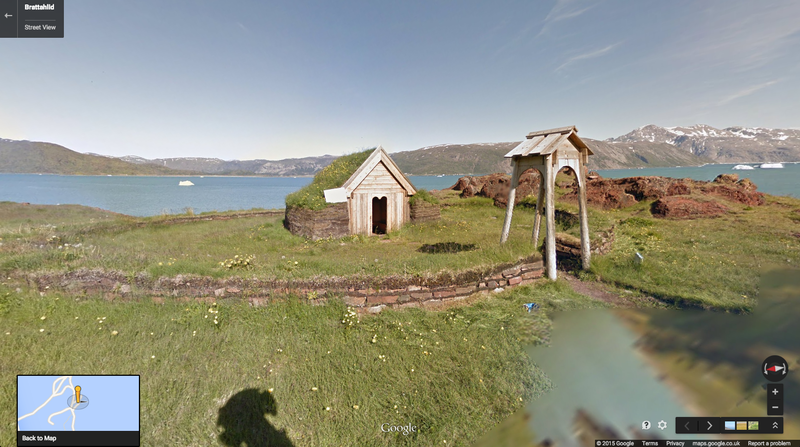 The Church was also the location of the last written record of the Greenlandic Norse in 1408. Nuutoqaq, the colonial harbor, is full of gorgeous vistas, fjords and monuments to local heroes. The statue of Hans Egede, the Danish-Norwegian explorer who founded the nearby town of Nuuk, is hard to miss (not that you’d want to!). 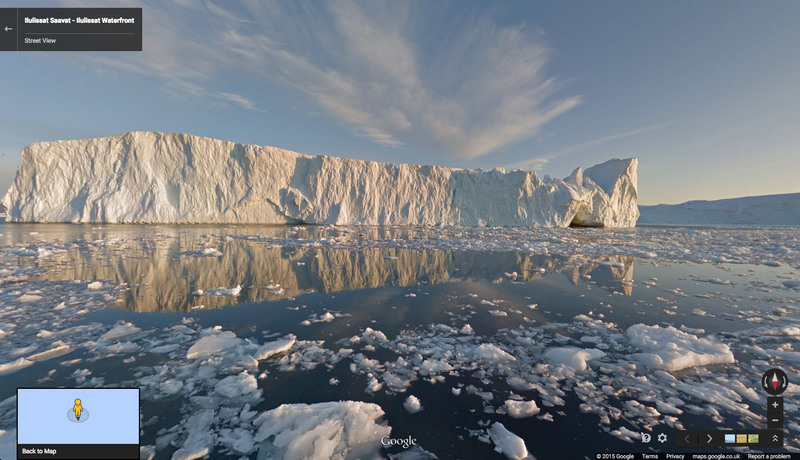 To see more of Greenland’s world-renowned icebergs and cultural gems, start your virtual exploration now. Like the Vikings before you, a new frontier awaits. 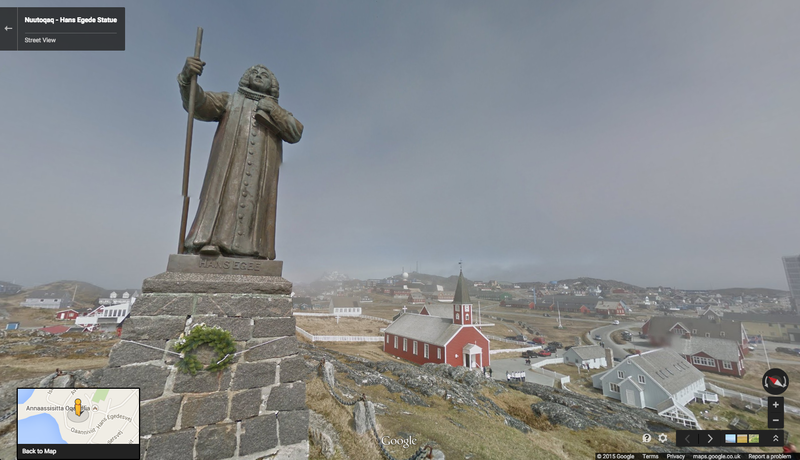 Your virtual viking ship is here to take you on a journey through Greenland with Street View in Google Maps. Thanks to our partners Visit Greenland and Asiaq, you can now explore immersive 360-degree imagery of the world’s largest island, which is sparsely populated yet chock full of glorious natural wonders and historical sites. Let us take you on a tour of fjords, waterfront vistas, Norse ruins and more.